So it has been a rather long dream of ours to get chickens! We had an old chicken house set up in one of our old houses but never actually got round to adding chickens. 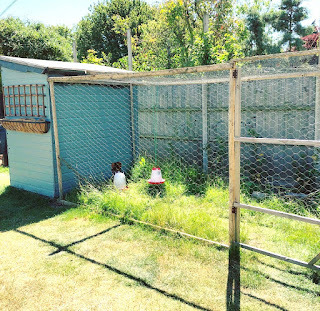 So a few months ago we decided to buy a second-hand shed and do it up as a chicken coop. Jon and I built it together and then i was set the task to make it look pretty. It started life looking rather shabby and a horrible dusty red colour, which to be honest stuck out like a sore thumb in the garden. I went with a paint shade called sage, and I'm really pleased with the results. In between coats (which i did four off!) 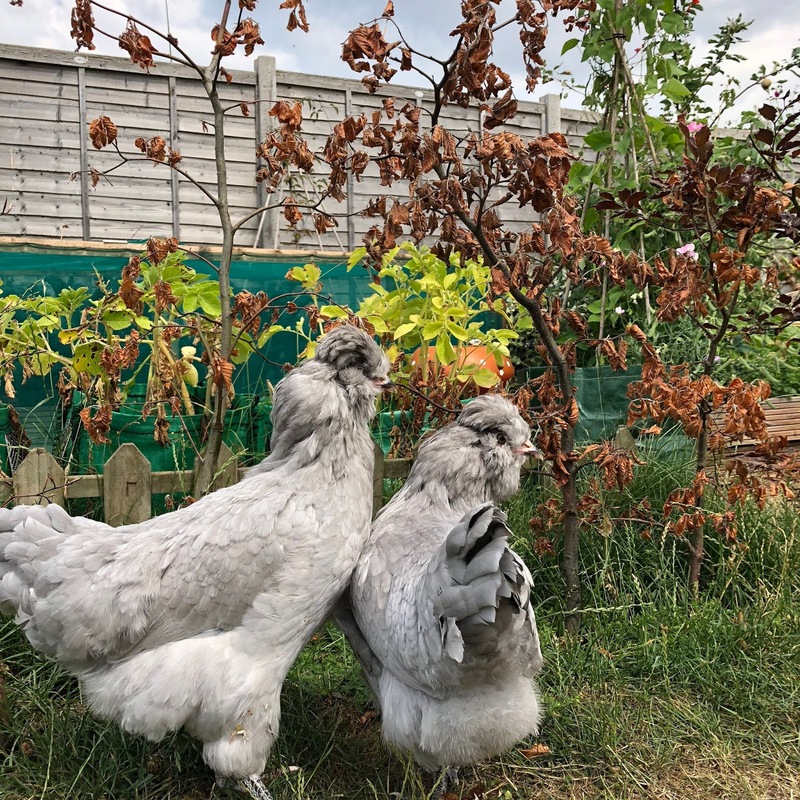 I did a bit of a chicken hunt online and came across someone local who breeds some really lovely chickens called Swedish Flower Hens, so i put my name down for two but they won't be with us for a few weeks yet as they have only justed hatched. So I found someone local and once the shed was finally finished with a cover on the top of the run to give the hens some shade from the glaring sun and cover from the rain - whenever that decides it's going to return and we had all the food, grit and mite dust we needed we headed over to see if any of the hens took our fancy. 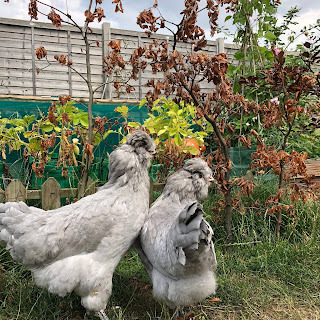 I was being a bit of a chicken snob and said I didn't really want a normal looking brown hen as they just didn't interest me and Jon just nodded and went along with what I was saying, once there however that all changed! As soon as we walked up to the coop, two nosey madams came right up to us and followed us around. I was instantly smitten and had to have them both, then I saw a speckled pecking around and thought she'd make a good addition to our new little flock. I was actually pretty blown away by how big they were, God knows why as I walk past wild cockrels daily when I take Noah to school! Once home we took them to the run and opened the box and just left them to it, we sat and watched them from the other side of the run. It didn't take long for the hens to jump out and start exploring their new home. The boys were over the moon to find chickens in the garden once they got home from school and have all enjoyed feeding them and watching them peck around. Ru is in love and has decided Coraline is his favourite as he loves the feathers around her neck. 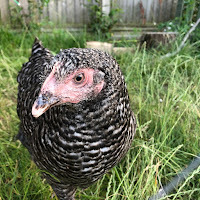 I have become a bit of a crazy chicken lady and have been reading up on lots of chicken blogs and finding ways to keep them tip top and happy. From making sure they are wormed and mite free to putting different fresh herbs into their next boxes to help them feel relaxed and stress free. 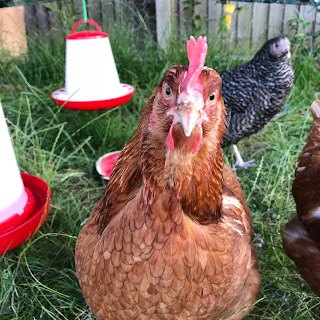 I ever treated them to half a frozen watermelon yesterday to help combat the heatwave, which they very happily pecked away at throughout the day. After reading up on chickens before hand I wasnt really expecting to find eggs straight away so imagine my surprise after the 5th time of checking the nest box the following morning to find our very first fresh egg! Cooking that first egg, I dont think I have ever felt so much pressure to make sure it was cooked to perfection, in all its runny glory. I turned to Jamie Oliver and did it exactly how he says too and thankfully it was nice and perfectly runny, had that fresh egg bright yellow york and it tasted amazing! We are back to only finding one egg, and I think it might be a while until we are getting three eggs a day daily but just seeing that one egg sat in the nest makes me so excited! 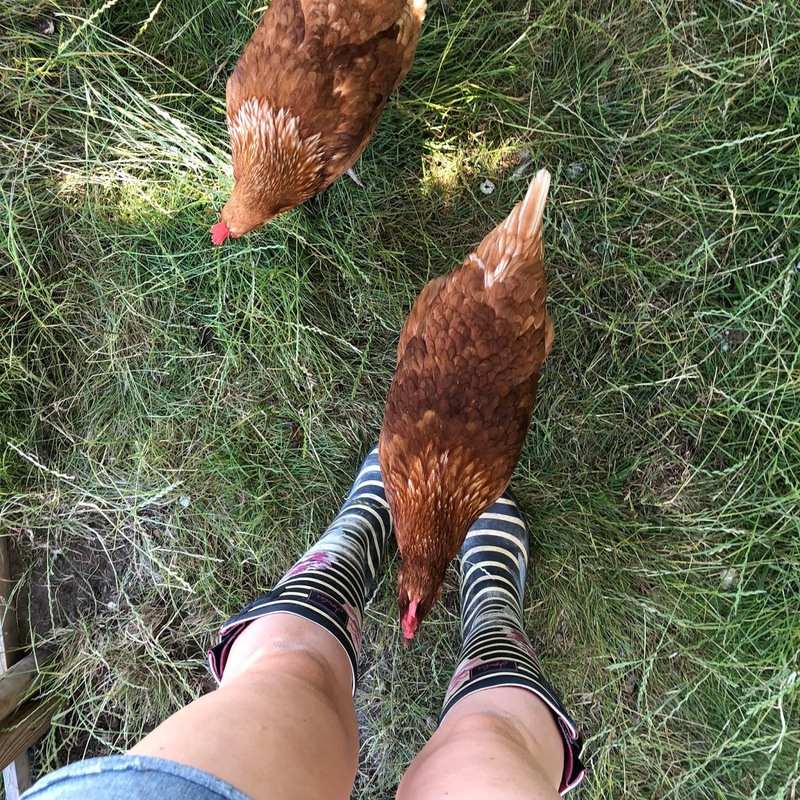 Betsy is our most friendlist hen and loves having her daily strokes, she makes sure shes right there every time i enter the run pecking on my wellies to say hello. 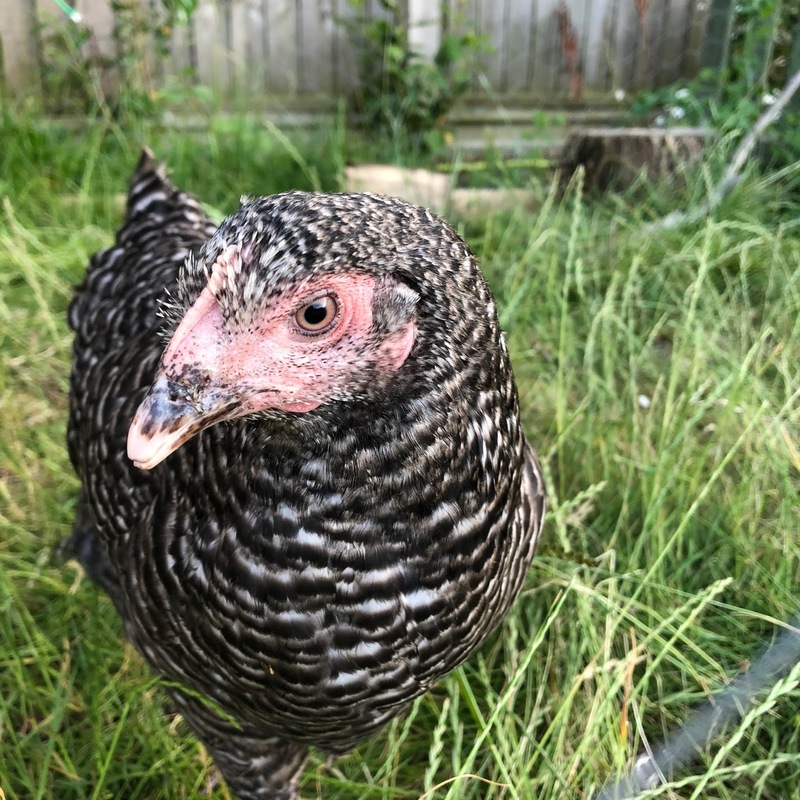 I'm working on the other two hens and hopefully, they'll soon be as friendly as Betsy. Beware Chicken updates will probably come in thick and fast!